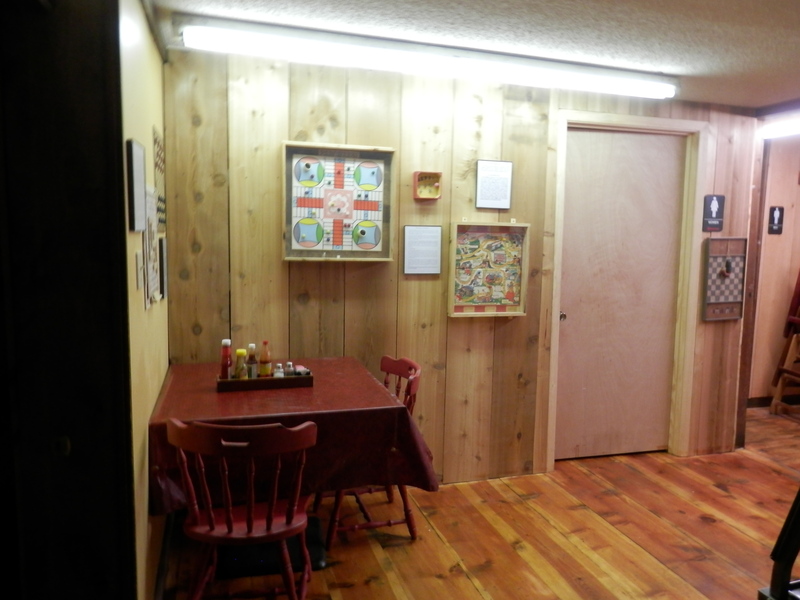 The Game wall area at Country Kitchen is complete. This was something I wanted to do for a long time. Thanks to my husband for making the game board display cases. Originally we had a bigger area to display them in but a new addition to our women’s bathroom took priority. I have always loved games especially when I was a kid. It is a shame that most of the kids growing up today will not experience these type games. 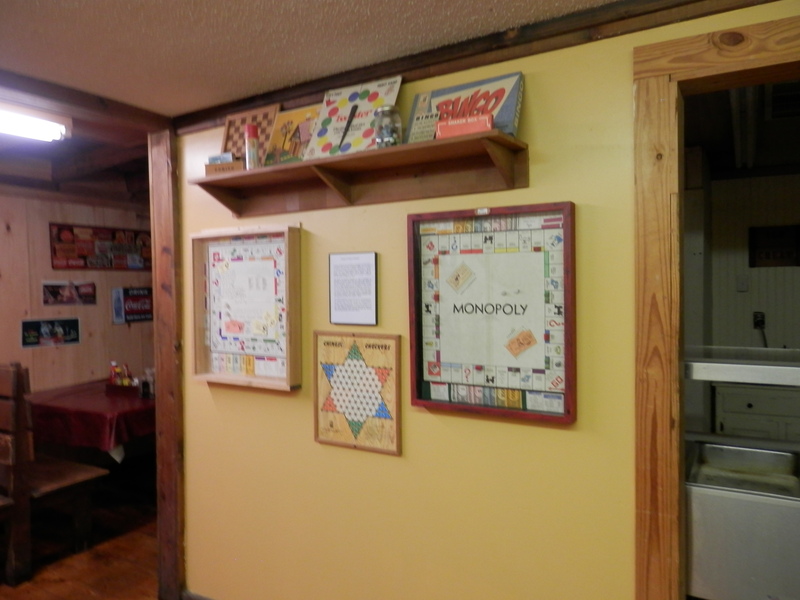 I thought it would be fun for people to reminisce about their times playing these vintage games such as Parcheesi, Twister, Jacks, Pick up Sticks, and Checkers. 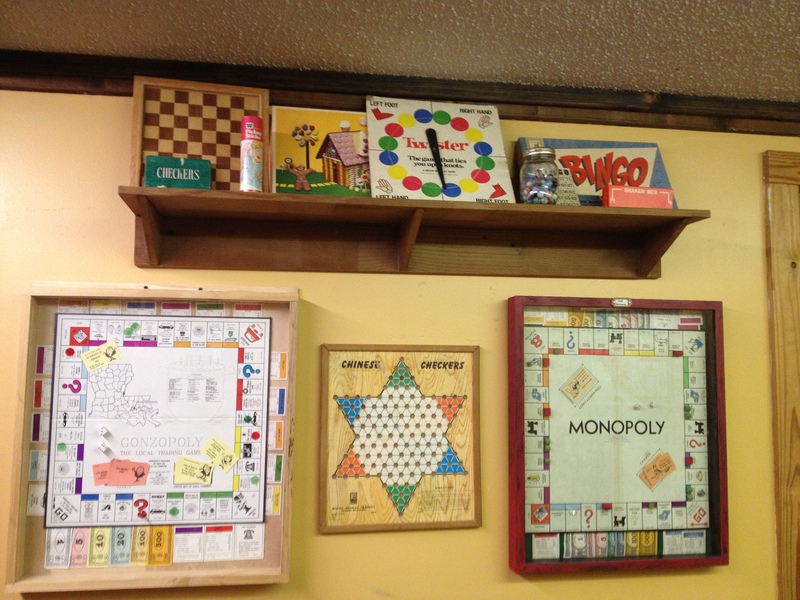 The Monopoly game we have on display is a 1946 version. Monopoly celebrated its 80th anniversary this month. Our customers love to look at the Gonzopoly game that we have in a case from 1985. 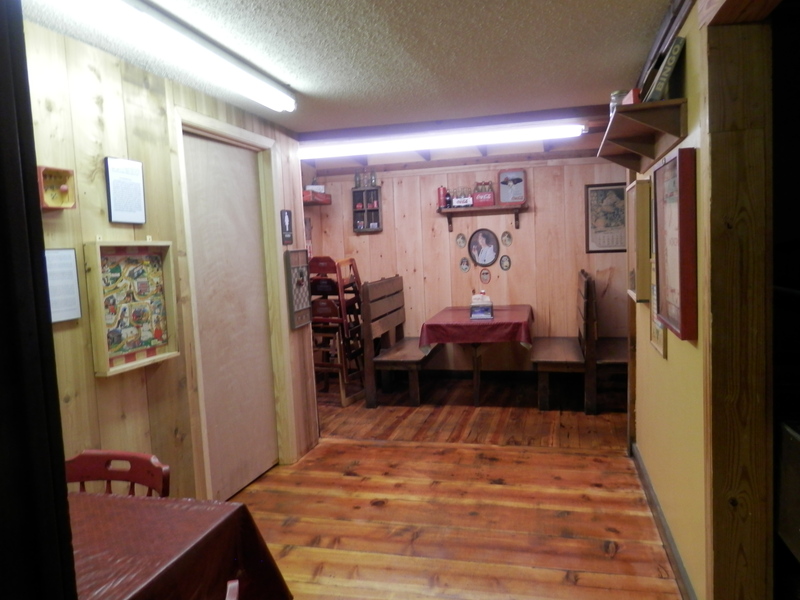 It was a way of promoting businesses in our area and the businesses paid to have their names on the board and cards. The 1954 Uncle Wiggily Game was one of my childhood favorites. Unfortunately I didn’t have mine from my childhood and had to search one out at antique shops. Before it was put in the display case we played it a few times with our grandson. I did, however , have jacks from my childhood and a Chinese Checkers game. 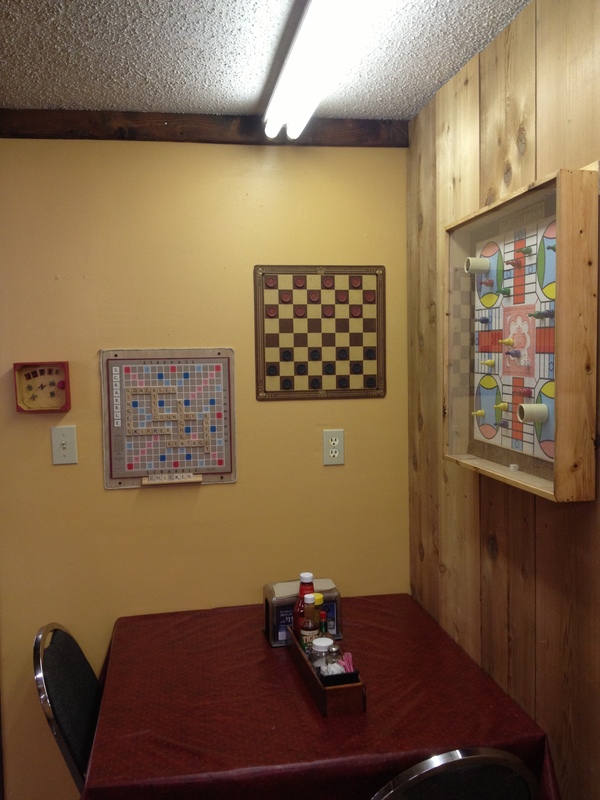 If you live in our area come by and check out our game wall. You might even learn something about a game that you didn’t know as we have some of the history of the games displayed along with them.